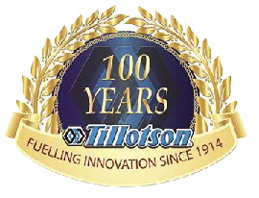 Tillotson collects data to operate effectively and provide you the best experiences with our services. You provide some of this data directly, such as when you create an account with us, submit a search query on our website, upload a document, or contact us for support. We get some of it by recording how you interact with our services by, for example, using technologies like cookies, and receiving error reports or usage data from software running on your device. We also obtain data from third parties (including other companies). * Send surveys to gather information on how to improve our products and service. As a general matter, we do not sell, trade or otherwise transfer to outside parties your personally identifiable information; however, we do share your personal data with your consent or as necessary to complete any transaction or provide any service you have requested or authorized. We also share data with Tillotson-controlled affiliates and subsidiaries; with vendors working on our behalf; when required by law or to respond to legal process; to protect our customers; to protect lives; to maintain the security of our services; and to protect the rights or property of Tillotson. When our services collect or use personal data, you can choose among various limited options. How you can access or control your personal data will depend on the service type or which services you use. You can always choose whether you wish to receive promotional email, SMS messages, telephone calls and postal mail from Tillotson. You can also opt out from receiving interest-based advertising from Tillotson by visiting our opt-out page.